he news of a new GHOSTBUSTERS film came as a surprise and shock to most of us, but it seems development on the film is moving right along. Casting for a young ghost-busting crew is currently underway and looking to begin shooting some time this summer. Thanks to a Tweet from Jason Reitman, we now know that Sony Pictures has set July 10, 2020 as the premiere date for the new GHOSTBUSTERS film. When news broke of this film actually taking place within the same mythos of the two original Ivan Reitman films, and that his son, Jason Reitman would be helming the film, I’m sure fans all around the world took in a great gasp of air and had a sigh of relief. Presumably that this film would be completely ignoring Paul Feigs attempt at rebooting the Ghostbusters’ franchise. Creating excitement for young and old audiences alike, Jason Reitman also released a teaser trailer for his GHOSTBUSTERS 3 film on Twitter which didn’t give much info. 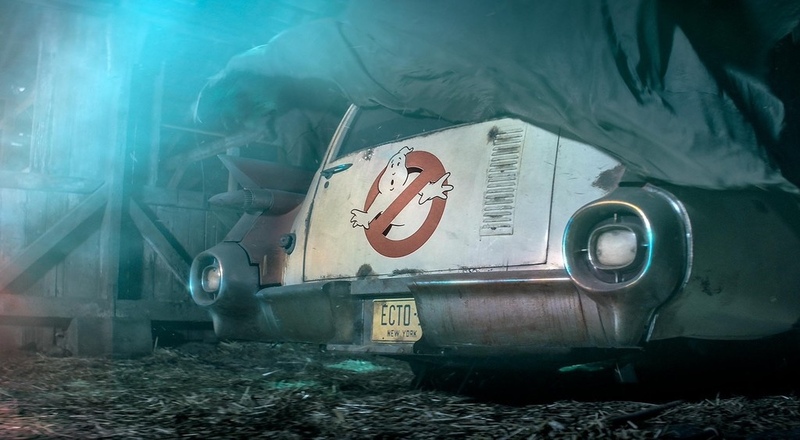 It did however show us that someone has been hiding Ecto-1, the Ghostbusters vehicle, in one creepy looking barn and was tinkering around with some of their gadgets. Proton-Paks? ?